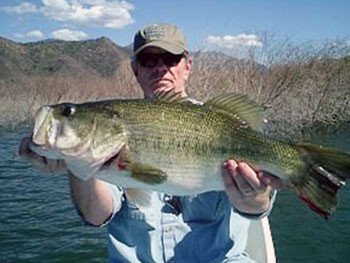 Mexico’s Lake El Salto is the most famous bass fishing lake in the world. This reputation has been due to the thousands of huge bass that have been caught and released back in to the lake by Americans. 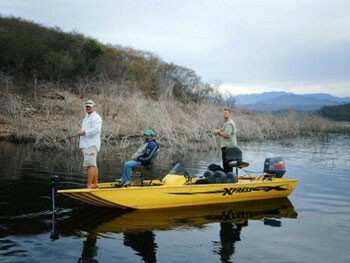 We built the very first lodge on the water at El Salto thinking we would only get about 5 years of great bass fishing. Well, it’s been almost 25 years and El Salto is actually better today than when we first opened up our lodge years ago. 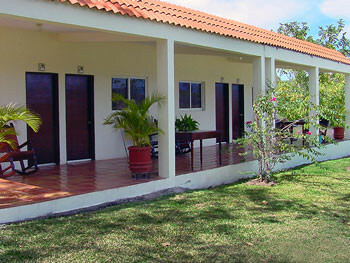 Our clients stay at Club El Salto which is on the water’s edge. 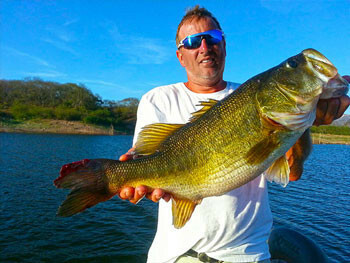 Club El Salto’s design came from Casa Mar fishing camp in Costa Rica. It has been one of our favorite camps ever over the past 36 years. 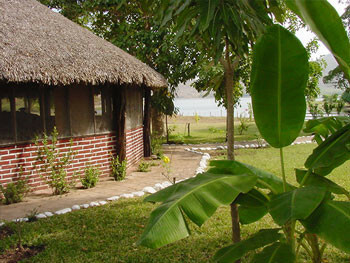 It is a six building camp with a restaurant overlooking beautiful Lake El Salto. Each house has its own private bathroom complete with shower. 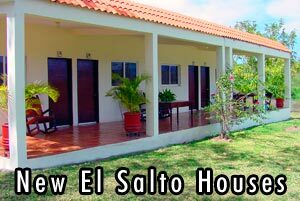 The restaurant has a large 20-ft indoor aquarium with trophy bass exceeding 10 lbs and you will be able to keep up with your favorite sports team at Club El Salto with its satellite T.V. Although Club El Salto’s prevailing breezes from the nearby Pacific Ocean assure great comfort all year, each room has its own air conditioning for even greater comfort. Club El Salto’s food is just wonderful. Our cook prepares a mixture of American, Mexican, and local seafood dishes that will please the most discerning of palates. Mazatlan, with its fantastic beaches, is your gateway city to both El Salto and Comedero lakes, and is serviced by airlines from all over the U.S.A. You will be picked up at the airport and transported directly to the lake by professional drivers. 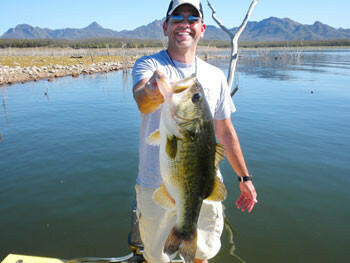 Lake El salto is located only 1 hour and 15 minutes drive from Mazatlan airport along a 4 lane highway. This proximity offers some of the world’s best Deep Sea Fishing. The camp boats are a new fleet of American bass boats made by Express boat company in Arkansas. They have steering wheels, livewells, front trollers, and Yamaha outboards. Best fishing boats in all of Mexico! The guides at Club El Salto are all local young men. Many lived in a village now covered by the lake. Be assured that they know the lake better than anyone. Most have been with us from the very beginning. Our guides include Armondo Sr., Armondo Jr., Victor, Oscar, Chelo, German and Juan Manuel. They consistently produce trophy fish for our clients. They are all great guides. The best on the lake. 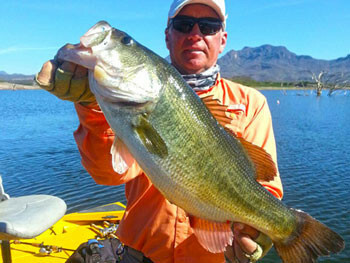 If you desire, we will furnish you with rods to fish Lake El Salto. Just bring your reels and fishing lures. Each client should bring their own lures. 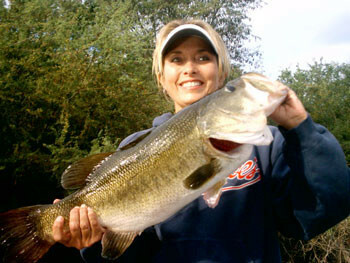 We post a daily fishing report on our ronspeedadventures.com web site Reports Section. These daily reports will give the top 3 boats each day and will include the numbers and size of fish caught. Also, the report includes the baits used and colors, plus the depth of water the fish are caught in. This report also gives the weather with high and low temperatures. With these daily reports you can prepare extremely well for your trip. You will know what clothes to bring, what lures and colors to bring so your trip is always a success. Long before El Salto lake filled we had picked the very best location on the lake to build our fishing lodge. This location was picked for 2 reasons: a huge, massive Capuli tree over 100 years old, and our desire to build at the water’s edge. The Capuli tree is over 75′ tall and has a shade over 30 yards wide. This tree is very unique as there is not another like it in the area. It’s located at water’s edge about 30 feet from our fishing boats. Its huge shade makes it perfect for outdoor barbecues. Each morning you will be awakened by the camp manager. His staff will bring coffee and fresh orange to your room. This all happens about 1 hour before daylight. You will proceed to the restaurant for a wonderful breakfast. After breakfast your guide will carry your fishing tackle to the boat while you walk from your room to your boat which takes about 1 minute. Then you leave the dock at safe light and fish until 11:30am, returning to the camp for a noon lunch and siesta. Most fishermen return to the lake about 2:00pm and end their day’s fishing just before dark. One of the very best things about our lodge being at the water’s edge is that each client can set his own schedule, leaving and returning to camp when you desire. No van rides or waiting on a van or bus, or waiting on other fishermen to come in from the lake. The food at Club el Salto is described by clients as fantastic. We have always gone the extra mile for excellent food at all our lodges over the past 36 years. El Salto food is served on a steam table so it is always hot and clients don’t have to wait on their food. You can go back for more as often as you wish. No one goes hungry. All our meals are supervised by Cheeta, our head cook. She has been with us for 16 years. Our meals are delicious and represent a wide variety of foods. The highlight meal is Steak/Lobster/Baked Potato Night. Our clients get a fine tender grainfed American ribeye steak grilled over mesquite wood just like you like it. If that weren’t enough, you also get a whole lobster tail fresh out of the nearby Sea of Cortez (please note that Lobster is served only when in season). Every meal will have salads, beans, soup, French Fries, etc. All meals have a wide variety of breads including Mexican bolios, tortillas – both corn and flour – regular sliced white bread, and Jiffy cornbread plus Pillsbury biscuits at breakfast. Other meals include fresh fried shrimp from the nearby ocean, one night of great Mexican food typical of the area, plus a variety of other meals. Each meal will be followed by a delicious dessert. Pies, cakes and Mexican flan are all client favorites. If all that weren’t enough, we have 3 different flavors of delicious ice cream 24/7 in the restaurant. You can eat all you wish day or night. To top off our restaurant service, there is an open bar with a mix of American liquor and domestic liquor. 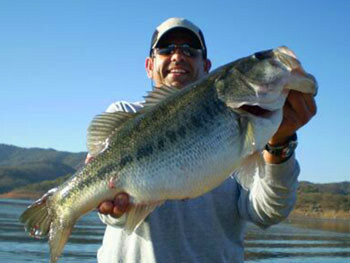 Just so clients don’t forget the purpose of the trip, the restaurant has a 20′ long aquarium with huge bass from Lake El Salto. TIP: Swipe left or right over table to view all columns on small screen. If you have any questions, please contact the office: 800-722-0006. Ground Transport: $90 per person (based on a minimum of 4 people). Normal ground transportation rates for each lake apply (in each case, based on a minimum of 4 people). RSA must have a minimum of 6 clients doing a combo for any combo date.